2GB Silicone bracelet USB flash drive. Oversea. Please add 7 days of air freight. [Imprint size] 4" x 1/4"
[Sizes] 8 1/4" x 5/8" x 1/16"
[Summary] 2GB Silicone bracelet USB flash drive. 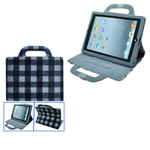 Apple iPad case from PU material. 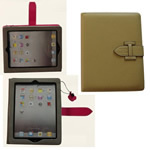 Leather iPad 2 case for custom making.